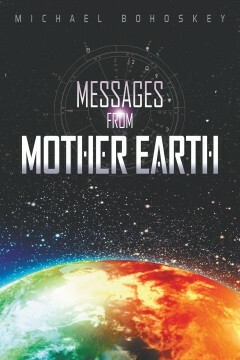 This is all about the Earth, our host planet, our Mother as we often call her. In times of rapid and disruptive change many look to science and religion for answers and direction. Why not ask the Earth itself? We often assume that the Earth is simply a physical planet spinning through space. Wisdom has it that she is a living entity, a consciousness, on a journey all of her own, in harmony with her Solar System relatives in a galaxy of further relatives. I have utilized a method of entering an altered state of consciousness, called astroshamanism, to reach beyond the illusion of this third dimension to ask for her wisdom and guidance. These messages are the result. They will challenge your beliefs, stretch your mind, and touch your heart. Naval Academy graduate, former Episcopal priest, artist, writer, and currently Chiropractor, Michael has always been interested in healing and expanding consciousness. He lives in Lawrence Kansas.